Daniel and Josephine Inman began a family within a year of their 1863 wedding and eventually had seven children. Inman’s life during the nineteenth century exemplifies many of the challenges and accomplishments of California’s pioneer leaders. He farmed and experimented with different crops, was known as a generous friend, helped begin the Livermore Presbyterian Church, supported the Grange movement, opposed the state’s railroad monopoly and ran for office. The Inmans moved to Livermore in 1865, splitting their Danville properties with brother Andrew by 1866. 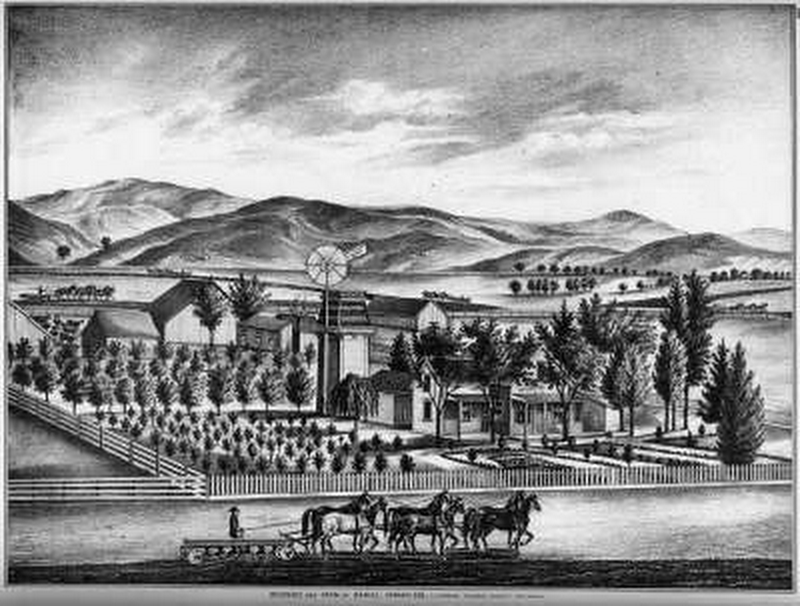 Dan’s friend Jesse Bowles moved to the Livermore area in the 1860s, joining his brother-in-law William “Phil” Mendenhall. Mendenhall had once farmed in the Sycamore Valley and was another good Inman friend. The Inmans soon settled in, buying 325 acres of farm land and becoming leaders in this new community. They later added 316 more acres and ran a diversified farm with stock grazing, wheat and vineyards. Less than a mile north of their homestead, the Inman District School was built in 1870 on land they donated for the purpose. He was no friend of the railroad monopoly which had such power in the state and, because of this, lost in subsequent efforts to return to the Legislature. In 1878 he was elected a delegate to the California Constitutional Convention which famously worked to defuse the railroad’s power. A major goal of Granges throughout California was to control what they viewed as usurious charges by the railroads. In 1874 that Inman met with Danville friends R. O. Baldwin, Charles Wood and W.W. Camron to discuss constructing a narrow gauge railroad from Martinez to Livermore. Indeed, Inman’s political activities were mirrored by several Danville leaders. His brother Andrew Inman, Charles Wood and David Sherburne from Sycamore Valley, and teacher A. J. Young were all elected to the state Assembly. Sherburne also served as Contra Costa County Supervisor for many years. After the California Grange was organized in 1873, Inman became the first Worthy Master of the Livermore Grange No. 91 in 1874. He was active in the Grange for many years in many different capacities, including as president and manager of the State Grangers’ Association and their store in San Francisco (1878-9). His wife’s parents had helped found the Cumberland Presbyterian Church in Alamo. 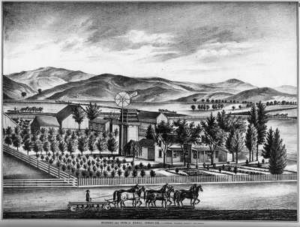 The First Presbyterian Church of Livermore was organized on Feb. 12, 1871 with Jesse Bowles and Daniel Inman serving as two of the first five trustees. Funds were raised and the first church was dedicated in 1874. Also in 1871, a Masonic Lodge, the Pleasanton Lodge, No. 218, F. and A. M. was organized. Inman was a proud member of this fraternal order all his life. Inman was known for his community spirit and his willingness to lend funds to friends, which sometimes led to problems. He signed a promissory note for the Farmers Union of Livermore, a Grange-related cooperative, and ended up liable for their debts when the Union went bankrupt in 1892. He faithfully paid off these and all other debts.